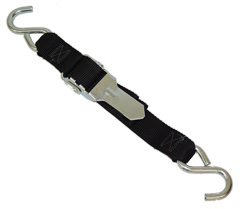 1" wide weather-resistant polypropylene webbing, nickel plated steel snap hook on one end, adjustable buckle to secure bimini top on other. 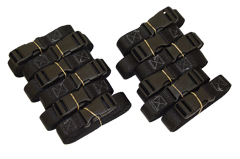 Available in white, gray, black, red, and blue. 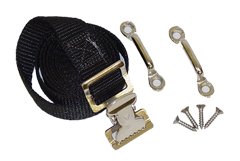 1" wide weather-resistant polypropylene webbing and rust-resistant metal hardware with stainless steel screws for mounting. 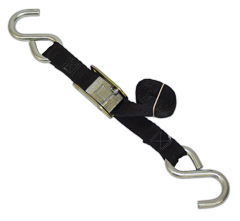 1" wide weather-resistant polyproplyene webbing, weather proof side release buckle, holds down your boat cover or tarp on trailer easily. 1 1/2" wide x 6ft. 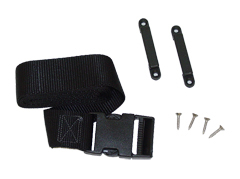 long weather-resistant polyproplene webbing, weather proof side release buckle, holds down battery, gas tank, trunk lids, and many other things. 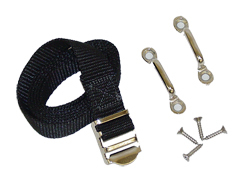 Comes with mounting hardware, 2 nylon loops, ad 4 stainless steel screws. 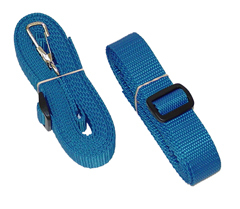 Great for salt water. 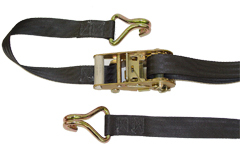 1 1/2" wide weather-resistant polyproplyene webbing, heavy gauge zinc plated hardware and self-tightening easy-lock over centering buckle. 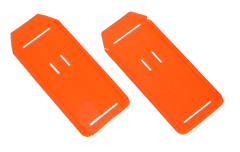 A long lasting protective panel made of high durability plastisal designed to protect boat finish. 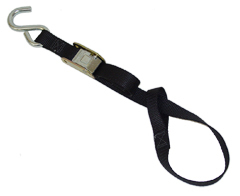 The Gator Skin safegaurd cushion is easy to use, just slide strap through slits provided on cushion for adjustable protection anywhere on the strap. 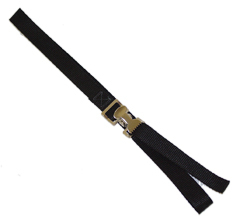 Fits webbing 1", 1 1/2", & 2"